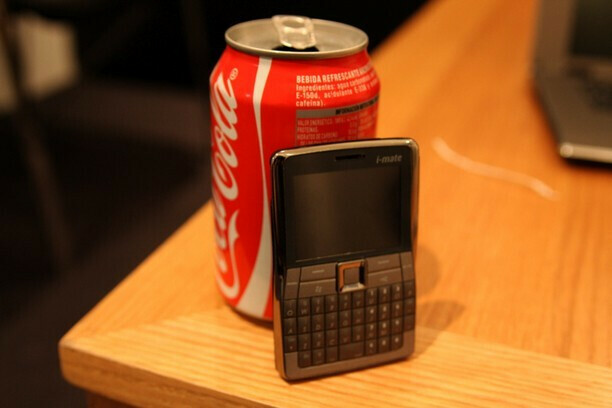 A little before the MWC 2009 has started, i-mate announced its phone, the 810-F, which comes with a life-time warranty. Obviously, however, it will not be the company’s flagship in its battle for a share of the smartphone market. The device, which will have this honor has been shown at the MWC without too much noise and is called the Centurion. The available information is that it will have the size of a credit card and will utilize Bluetooth and built-in GPS. In addition, users will later be able to upgrade it to Windows Mobile 6.5 Standard for free. We have to note that Centurion is actually a codename and it isn’t known whether it would be used by the handset on its release on the UK market in the middle of this summer, at the “modest” price of about $550. Expect our hands-on with the i-mate Centurion soon!